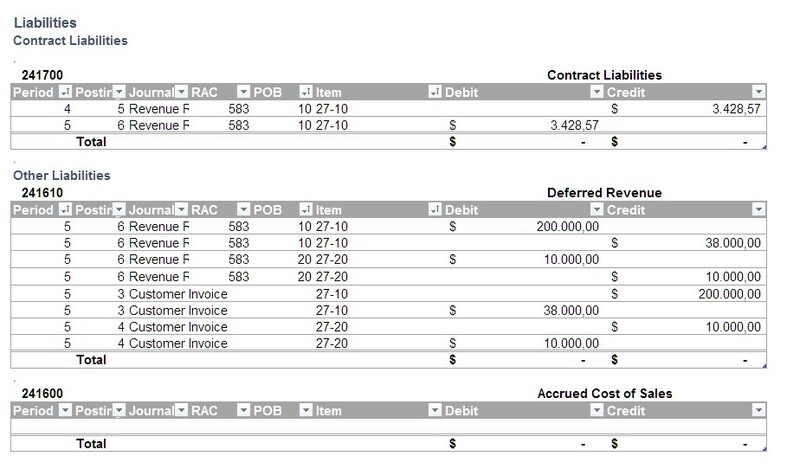 SAP introduced enhancements to SAP Business ByDesign to allow customers to comply with accounting standard IFRS15/ASC606 revenue recognitions requirements. A series of case documents introduces the key requirements of IFRS15 /ASC606 along with steps to be taken by the client to implement the functionality. At Media Productions Limited, the printing machines of printing line 1 and 2 should be replaced by new ones. The existing paper feeders and packaging units will be kept. They order 2 new printing machines including setup and installation service. The setup could have been done by the service crew at Media Productions Limited themselves but due to resource constraints they purchased the service offered by the manufacturer of the printing machine. and an additional 10% header discount, since he expects a large opportunity for future business. The company Printing Solutions Corp creates a sales order with 2 items. Both items shall form an individual POB (performance obligation) and the sales order forms a single revenue accounting contract. 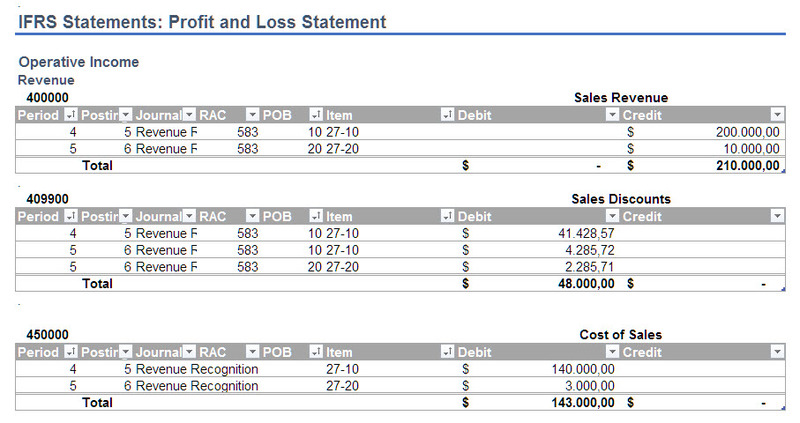 The allocation of the header discount amount to the sales order line items is based on the net value at the sales order item level. 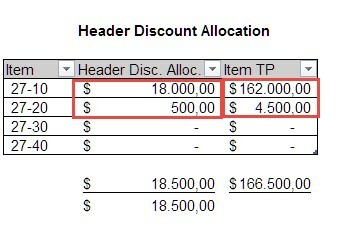 The header discount is deducted from the Sales Order Item Net Value to calculate the Sales Order Item Transaction Price. The method of allocating the header discount amount to the sales order items has not changed. The SSP (standalone selling price) derivation as the basis for revenue allocation is not affected by the sales order based header discount. Because the header discount impacts both the sales order item transaction price and the performance obligation (POB) transaction price, the header discount will impact the allocated revenue amounts at the POB Level. 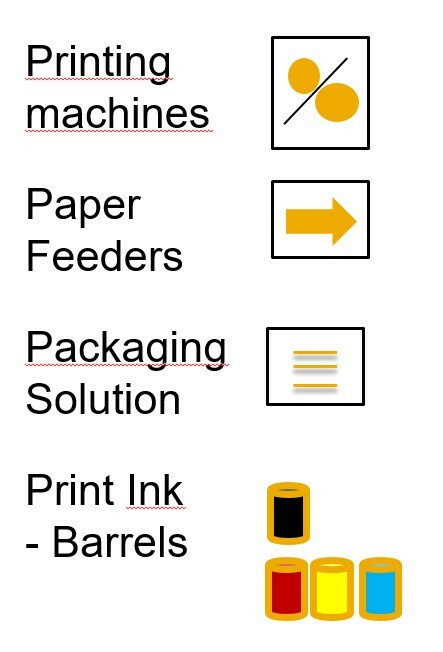 Business example: The printing machines were delivered and installed. Unfortunately, the truck broke down during delivery causing a significant delay. The sales representative agrees with the customer to waive the setup and installation service charge to compensate for the delay so as not to endanger the relationship with the customer. The invoice deviates from the sales order by showing a 100% discount on the setup and installation service. What are the implications of IFRS 15/ASC 606 dealing at the completion of all performance obligations that deviate from the ordered quantity or prices? The ByDesign implementation interprets the IFRS 15/ASC 606 standard such that with the completion of the contract (meaning all POBs must be finally fulfilled) the revenue allocation basis must switch from ordered quantity and amounts to invoiced quantity and invoiced amount. Step 3 / period 4: Service Crew arrives and completes install in 2 days. The delivery happens late and delayed in period 4. 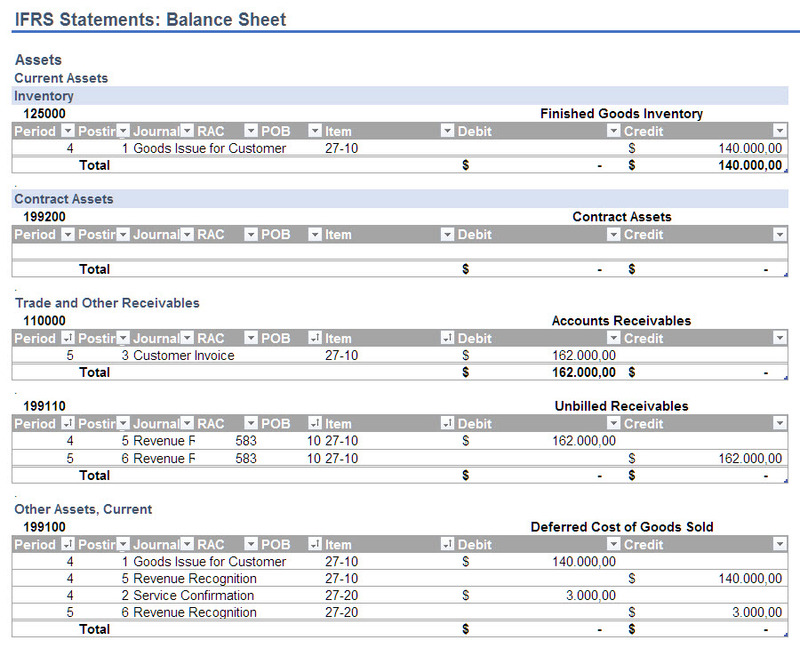 The simplified financial posting is shown below. Both POBs have been 100% completed. Both items have not been invoiced. Revenue recognition realizes revenue and discounts and builds up unbilled receivables. According to the matching principle COGS are realized as well. The resulting simplified journal entry is shown below. The calculation basis for the created posting is shown below. The customer Media Production Ltd calls the sales representative at Printing Solutions Corp. They clearly articulate that they are not happy about the delivery delay. After negotiations, the sales representative agrees to give a 100% discount on the installation service to compensate for the delay. It is important to note that the allocation basis will switch as the entire contract has been fulfilled. The allocation basis at ‘final accrual’ will take the quantity and price deviations into account. The basis for revenue recognition has considered that the second POB has been 100% discounted in the invoice. Therefore, the overall contract price is now lower and POB allocated revenue has been reduced.